The official YouTube iPad app is no longer available in iOS 6. Until Google offers a better alternative, there are other ways to watch YouTube on the iPad and get access to your account. 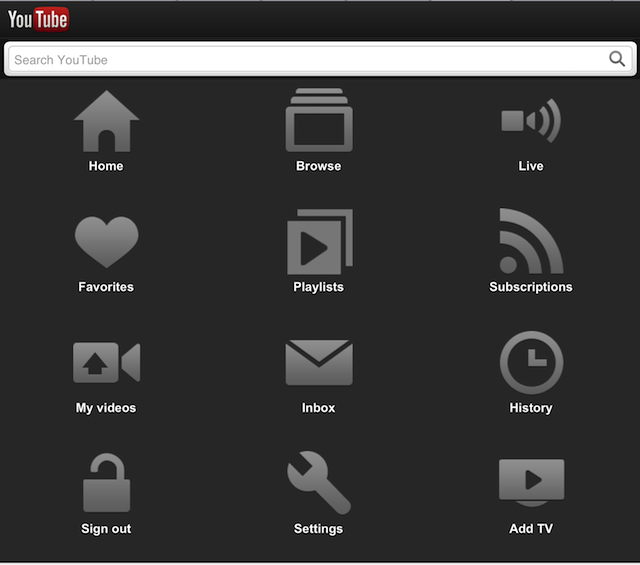 The most obvious option is YouTube in the web browser Safari. This post describes the browser alternative. Later posts will present other options. 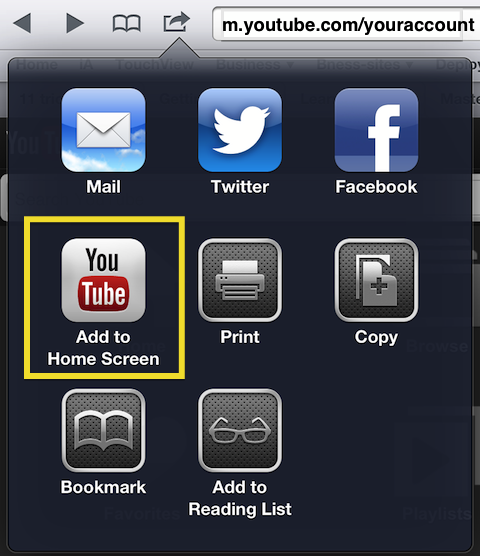 Put the YouTube URL (youtube.com) in the Safari web browser to take you to a mobile version of the YouTube site. 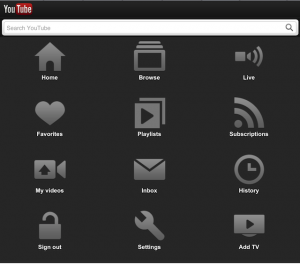 Once there, you can create a web clip (screen icon) to speed up access to YouTube. Using YouTube mobile (m.youtube.com) on the iPad, you can search for videos and manage your YouTube collection. You’ll see two icons in the upper right, Grid and Search. Use the Grid menu to manage your account and video collection. Search to look for videos. When you find a video you want to add to your collection, tap the Add to button just below the video. You can choose to add the video to one of your current playlists or create a new playlist to file the video. Consider making playlists for various topics to keep related videos together.